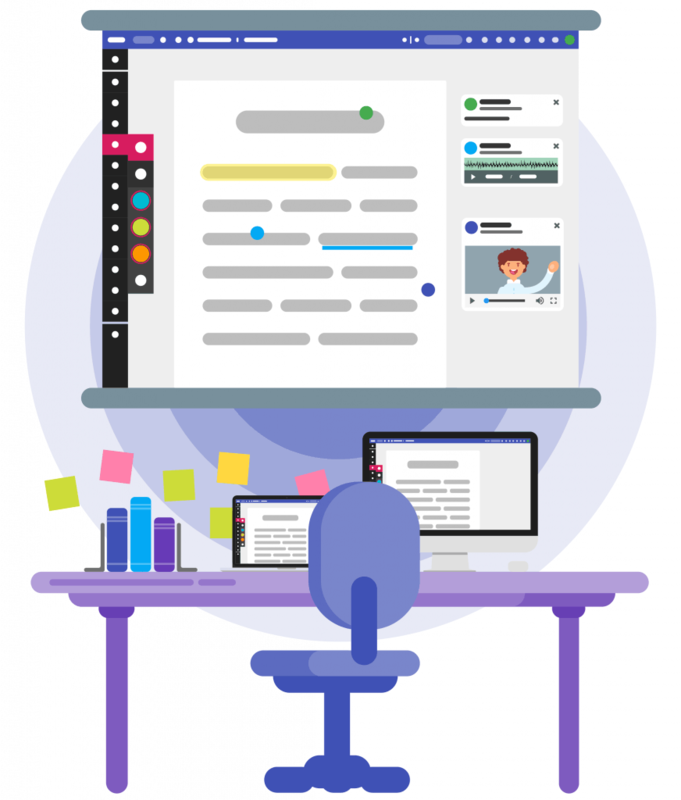 Kami is your digital pen and paper where you and your colleagues can learn, create, and collaborate. Share a PDF, image or other printable document with colleagues to enable shared annotating and to exchange comments in real time. Highlight, underline, insert text - With Kami you can mark up that PDF document without having the original source document. Great for reviewing final document proofs and for giving feedback and suggestions on documents created by colleagues or other organizations. Signing documents online can be complicated and there are online services entirely focussed on this one task and the typical signing process workflows. But most of the time, you just need a quick and easy way to attach your signature to a document. Kami’s signature tool lets you sign a PDF right there in your browser. Upload a signature image, or get a link sent to your touchscreen phone, where you can capture a signature and register it in Kami for future use. Draw, insert shapes, lines and arrows, sketch and write freehand - all overlayed onto your document. With Kami you can mark up that final proof document without having the original source document. Great for reviewing and giving feedback on documents created by colleagues or other organizations. Sometimes you need to create a report by knitting together multiple PDF documents. At other times you want to extract a single page from a large PDF document, or to remove or rotate a page. Kami’s Document Split and Merge tools give you just the capabilities you need to manipulate PDF files and to generate exactly the document you require. Already use Kami and want to upgrade? Find out more here. Kami is a web app that you can use in any browser. All you have to do is sign in. Do you use G Suite in your school or company? Kami is one of the most popular apps in the G Suite Marketplace. Are you a Google Chrome or Chromebook user? Install our highly rated Chrome Extension.